They’re yellow. They’re radioactive. And they’re very slippery. Yes, they’re bananas, and we have just found out why they’re so slippery. So yellow … yes we all know that. But radioactive? Well yes, bananas are slightly radioactive because of small amounts of the naturally occurring isotope potassium-40. But the rate of radioactivity is so low that it’s not harmful. So, slippery? Yes. Let’s look at the slipperiness of a banana peel. 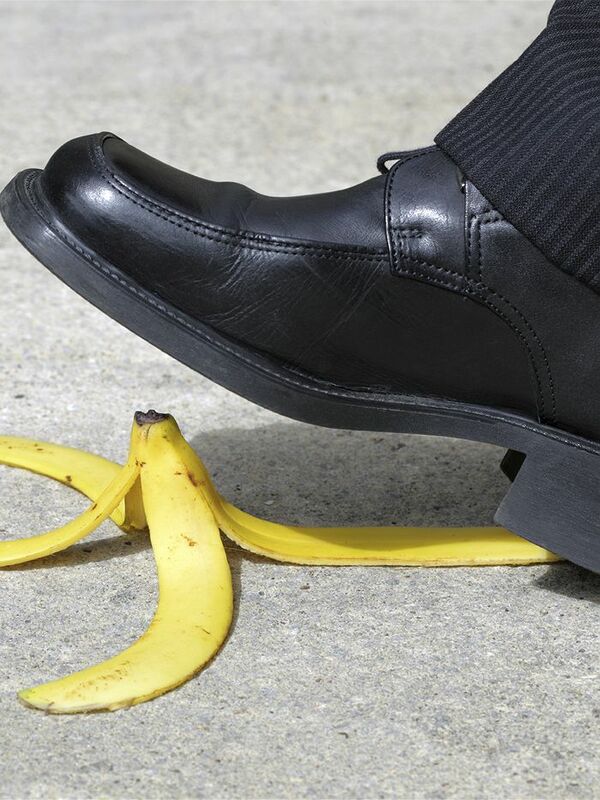 Unless you work at a fruit market, you probably haven’t seen a real person slip on a banana peel. A fruitologist told me he had seen a forklift truck spinning its wheels on banana peels, totally unable to get any traction. Of course if you’re talking cartoons, banana skins are often very slippery indeed. Bugs Bunny, for example, tosses the skin of a peeled banana onto the floor and then Elmer Fudd steps on it, windmills his legs and falls to the floor. The wascally wabbit wins yet again. 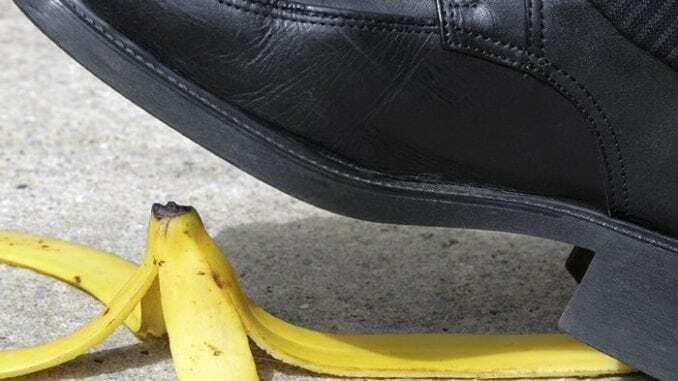 What’s odd is that we all ‘know’ the banana peel is slippery, even though most of us haven’t seen it. That’s why, back in 2012, some tribologists in Japan decided to measure just how slippery a banana peel was. 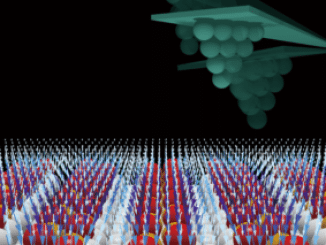 Tribology is the study of surfaces that move relative to each other. A big part of tribology is friction and the word comes from the Greek root ‘trib’ meaning ‘I rub’. The field of tribology really began in the mid-1960s. It was started off by the physicist David Tabor and the lubrication expert Peter Jost. But, nearly 5000 years ago the ancient Egyptians used jugs of lubricants to move giant stones to build the pyramids. And Leonardo da Vinci devised the first laws of friction. Friction is very complicated and depends upon many factors. One is the speed at which the two surfaces are moving, relative to each other. 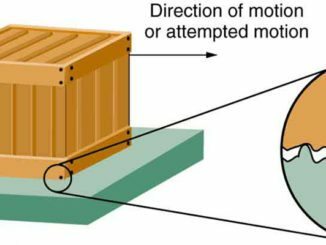 For example, static friction is quite different from dynamic or moving friction. You might have noticed that it’s hard to get something moving, but once it is moving you need much less effort to keep it going. Other factors include the materials the surfaces are made from, the properties of any lubricants, and so on. Today, friction costs the developed countries one to two per cent of their GDP. Future areas of tribology include nanotribology, which is dealing with very small particles, biotribology and green tribology. One way to measure friction is a so-called ‘coefficient of friction’ or ‘frictional co-efficient’. Suppose you have a block of leather weighing 1000 grams and resting on a wooden surface. Now to move it you have to push it with an equivalent weight of 350 grams. And so, the frictional co-efficient of leather on wood is 350 divided by 1000 which works out to be 0.35. 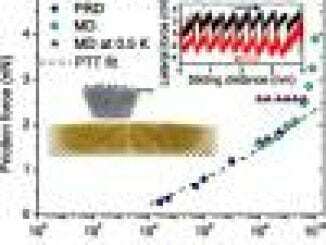 The Japanese tribologists measured the frictional co-efficient of banana peel on a linoleum surface at 0.07. This was amazingly low. Better than metal on metal lubricated by oil. In fact, banana peel is not much worse than Teflon on Teflon, which is as about as low as you can get in the land of friction. Under the microscope they found there were tiny little bumps or follicles on the inner banana skin — that’s the surface that touches the delicious fruit. When your foot puts some pressure on these follicles they release a curious gel made of both polysaccharides, which are carbohydrates, and protein. Thanks to the bumpy nature of the skin, this strange gel gets trapped between the banana and the floor providing a wonderfully low friction state. Of course, being thorough tribologists they measured the frictional co-efficient for a few different fruits. Apple peel was not so slippery at 0.1. While tangerine and citron, which is an Asian fruit similar to a lemon, each came in around 0.02.